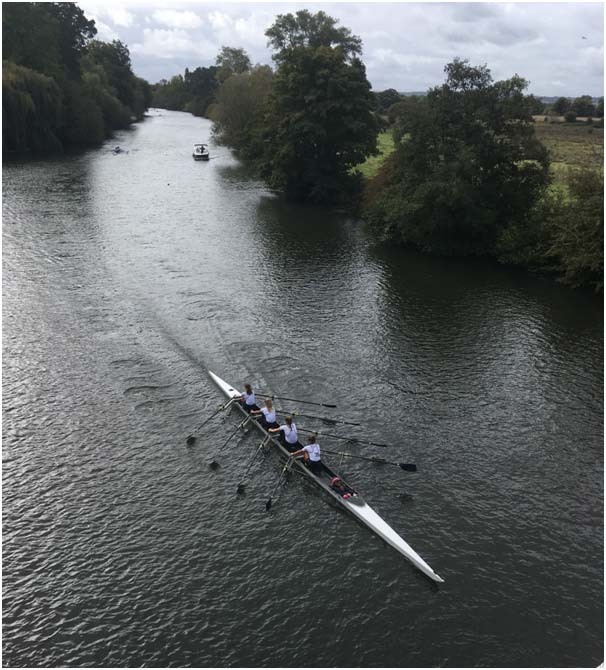 Wallingford Long Distance Sculls on Saturday 30 September 2017 marked the start of the competitive season for the Henley boys and girls squads. 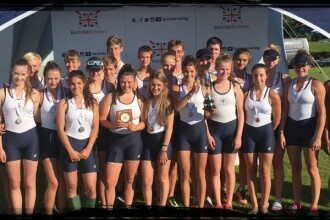 The event attracted a high calibre field with many rowers eager to get back into competition after the summer break. Wallingford is one of the first big head races of the new season and at 4250 metres upstream with a number of significant bends on the course is also one of the tougher ones. 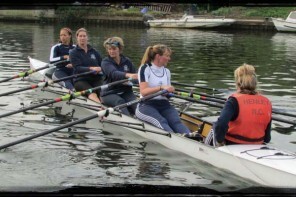 Competing on this course for the first time Henley Rowing Clubs Women’s under 15 squad acquitted themselves well and from the three categories entered, returned with one win and a second place. The win came from the crew of Holly Nave, Holly Tallent, Della Luke, Poppy Wilson, and cox Freya Reid who won the WJ15 4x+ event raced over the full course. The crew of Holly Thompson, Darcey Smith,Emilia Fulford Dobson, Ava Reineke, cox Ella Nolson also sculled exceptionally well in the WJ15 4x+ event. This race was over a shorter course and they were only beaten by the local Wallingford crew who had a distinct advantage home water advantage. Riley Butcher and Annabelle Hoogenberg raced the shorter course in the WJ15 2x event. 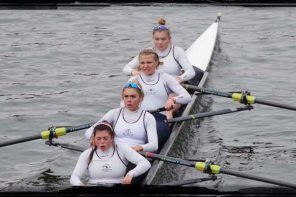 Whilst the girls sculled well, the difficult course was affecting the steering of other crews, which impacted badly on the Henley girls and prevented them from achieving a better placing. Henley junior boys also got their season off to a positive start with a convincing win for Connor Brown in J17 1x from a large field of 44 scullers. His time of 17.21 was fast and only 17 seconds behind the winner of J18 1x, a silver medallist from this summer’s World Junior Rowing Championships. In J16 1x, Henley’s Ed Roy took 2nd and Grant Taylor 4th in a big field of 32. It was however at Reading, that the full force of HRC s thriving – 21 strong – J15-18 boys squad was on show. Last Saturday saw the squad come away with three wins, and two strong seconds against strong opposition. 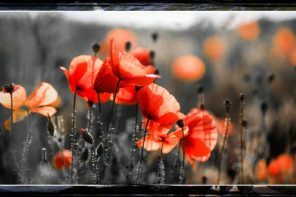 Conditions were favourable with no stream and a helpful tail wind. In J17 2x, Henley’s crew of John Yolland and Oliver Taylor attacked all the way down the course and came home 11 seconds clear of Hinksey Sculling School in second. In J16 4x, Henley’s two quads managed an impressive clean sweep taking first and second places with AB Severn and Sir William Borlase in 3rd and 4th places. Henley’s quickest crew of Alex Carr, Grant Taylor, James Swinburn and Euan Turnell were pressed closely by their team mates in the second placed crew of Sam Beattie, Seth O’Connor, Ed Roy, and Dan Crick. Henley repeated their one/two performance in J16 2x, with members of the J16 quads again performing strongly early in the season. Taking the win were Grant Taylor and Euan Turnell, and in second place, Alex Carr and Dan Crick. Both crews saw off the two next placed crews from St Pauls School. Finally there were two strong second places in well subscribed events with quality fields. Balthasar Issa, came home second in J17 1x in a field of 44 scullers and Ed Roy was second in J16 1x in a field of 42. All and all a great start to the season for the club’s junior squads and one that give the club huge confidence for the season ahead.